I feel like you see salt dough handprint ornaments all over Pinterest. The idea is super cute but have you tried to get an eight month old to just put his hand in the dough without grabbing it? It is nearly impossible. We were able to get one reasonable one but after that it was a lot of grabbing and attempting to eat the dough. We tried probably 10 times to get another good one without any luck so we decided to switch things up. Footprints are sooo much easier to do. So, we put a bunch of Will's footprints in (slightly thicker) dough and then I ran outside and grabbed a bunch of twigs. 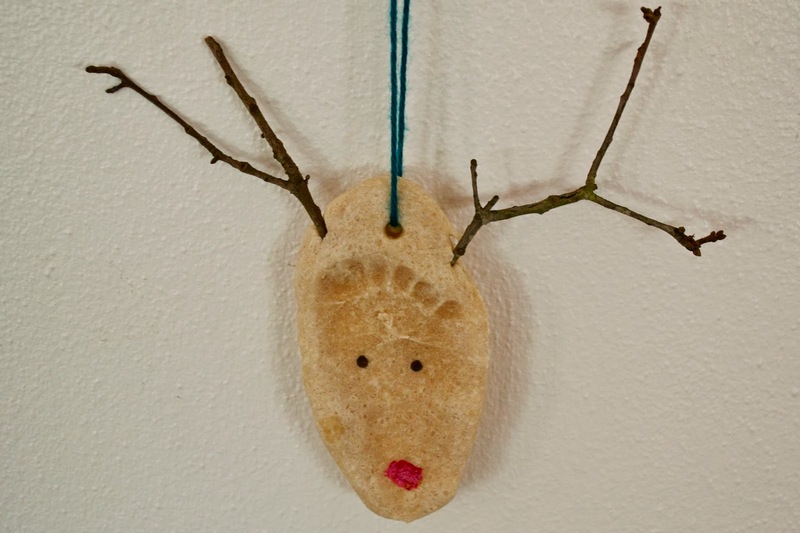 I first cut around each footprint and then I carefully inserted the twigs as antlers. I made a hole to hang the ornament and then just followed the normal directions for cooking the salt dough (since it was low temp the oven didn't do anything to the twigs). After letting the ornament cool, I used a black magic marker to make a couple of eyes, some red paint for a nose and used some greenish yarn to hang it up and that was it! This little ornament cost zero dollars since we just used things we had around the house and now we have a little keepsake for Will's first Christmas (I wrote his name and the year on the back). It's a really simple ornament but I think it cute and it looks great hanging on our tree. 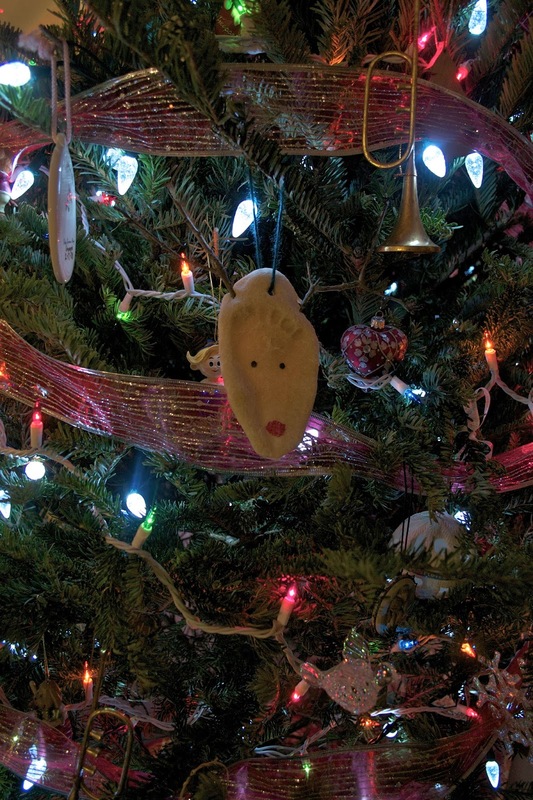 Did you make any keepsake ornaments this year?